We've been handling car accident cases for over 35 years, and our attorneys have experience dealing with all types of car accidents. From hit-and-run accidents to multi-car crashes, we've helped our clients recover the money they needed for their injuries. No matter the accident type, we're here to fight for you and protect your legal rights. We'll seek compensation for your medical bills, lost time at work, and pain and suffering. Count on our experienced legal team to handle the hassles of your case. 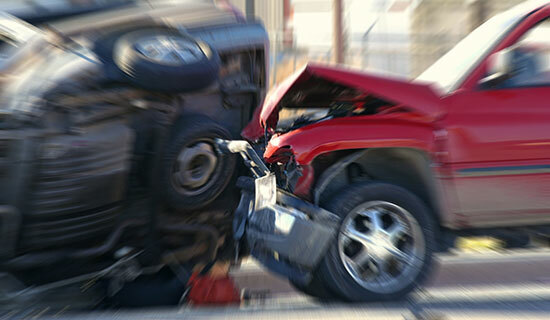 Our law firm has the resources to handle any type of car accident case. We'll send investigators to collect evidence, hire experts to reconstruct your car accident, and we'll cover all your upfront costs. There's never a fee unless – and until – we get money for you. Since 1982, we've recovered over $1 billion dollars for our injured clients. Visit our verdicts and settlements page for more information on the cases we've won. We'll stand up to pushy insurance companies and handle the hassles of your case, so you can focus on feeling better. Car accidents can be a financial burden, not to mention the physical and emotion impact. If you've suffered from a car accident, we'll fight to get you the money you need for your injuries. We'll help you plan for the future and make sure you get the maximum amount of compensation you deserve. We're standing by to help with your car accident case. Don't hesitate to contact our legal professionals, because there may be time limits to your claim. It costs nothing to speak with us, and there's no obligation to use our services. If we don't get recover the money you deserve, then you won't owe us anything. That's been our guarantee for over 35 years, and we stand by it.